Mid-1900s. Found in China after Japanese Occupation; interesting show piece; great historical value; good condition. 20½” w. 34¼” h. 20½” d.
This box was found in China after the Japanese occupation. It was the kind of antique tourists snapped up fast when China opened to the West in the 1900s. The Japanese writing on the outside says it is an ice box and gives the brand name. The inside has old original metalwork of an ice box. Metal lining inside is cracked and rusted. 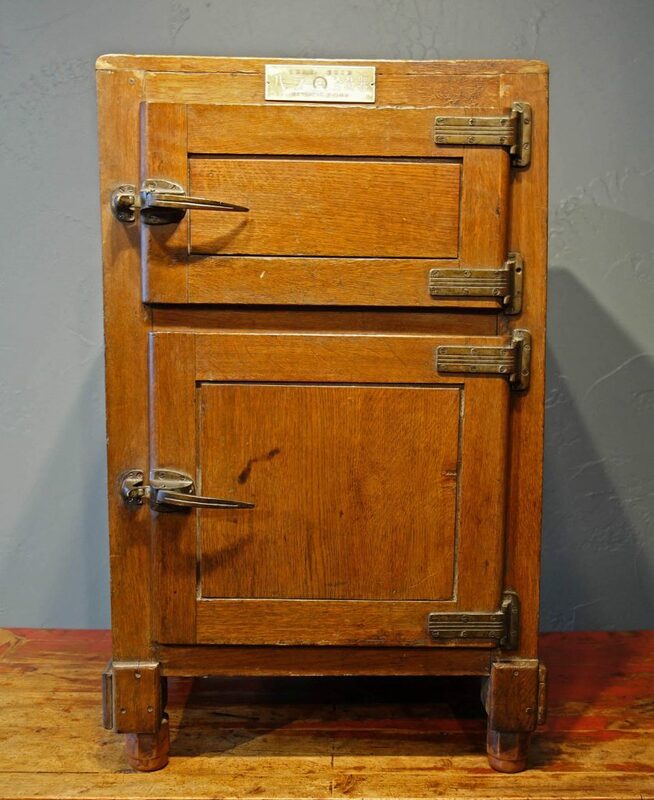 Even though it cannot function as an ice box anymore, it would be interesting to use it as a bar for storing bottles and bar paraphernalia. It is an interesting historical piece.